Start your holiday shopping in your PJs! Grab fantastic deals from Amazon that will save you money to buy more gifts, whether they’re for family, friends, or yourself. Down to $50 from $80! Read books, watch TV, listen to music, scroll through Facebook, and more with this tablet’s 8-inch HD display. 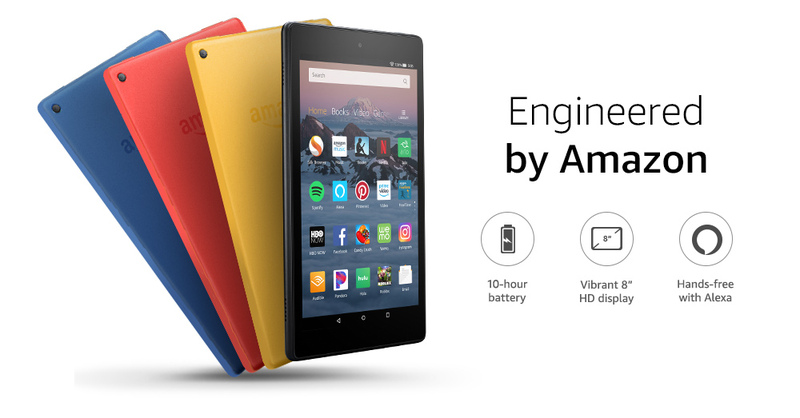 It’s got 6 GB of memory, plus it’s the latest at the lowest price. Grab it before it’s gone! This six paperback boxed set is priced at $19.10 for Black Friday, but it’s normally $34.99. What a great deal for paperbacks! 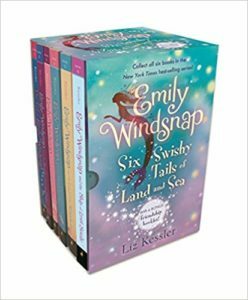 Intended for ages 8-12 (middle grade), this series based around mermaids and even includes a bonus twelve-page friendship booklet. You aren’t going to find a better opportunity to buy these books! Get these fun, fantastical books today. Remember the TV show What Would You Do? 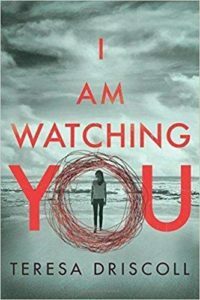 In this suspense thriller by Teresa Driscoll, the question is, what would it take to make you intervene? For only $7.98 instead of the regular price of $15.95, why not find out? Ella Longfield saw two teenage girls on a train being hit on by two young men, and she does nothing to interfere. A day later, one of the girls is missing. A year later, not only is Ella suffering from terrible guilt, but she’s started receiving threatening messages. And as it turns out, the missing girl’s family has quite a lot of secrets. Buy this thrilling paperback novel. 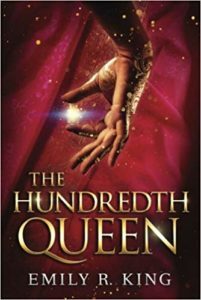 The first of four books in the Hundredth Queen series, see how you like it before you take the plunge with the price of just $5 for this paperback instead of the everyday $9.99 price. When Kalinda, an eighteen-year-old orphan, is ordered to fight for a place among Rajah Terek’s ninety-nine wives. Constantly beset by fevers, she must now journey across the desert for something she never wanted in the first place. Will she be able to escape her fate using an old, forbidden power? Find out what happens next and buy it now. Not sure what books, readers, or products your friends and family would like? 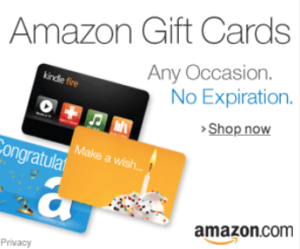 Grab an Amazon gift card with no expiration date! This entry was posted in Offers and tagged amazon gift cards don't expire, black friday 2018, black friday amazon, black friday amazon 2018, black friday amazon book code, black friday amazon books, black friday amazon fire tablet, black friday book deals, black friday book deals 2018, black friday book sales, black friday deals 2018, emily windsnap book sale, emily windsnap boxed set, i am watching you by teresa driscoll, the hundredth queen book sale. Bookmark the permalink.